So I received the email today inviting me to speak at the UC and Cloud Day 2016 at the National Conference Centre in Birmingham, UK. This is the due to the successful UC day held last year and has now expanded to include Azure and Cloud. I am stoked and honoured to be invited to speak alongside some great other speakers within the Skype for Business and Cloud community. Speakers include the keynote from UC Day founder, Andrew J Price and Richard Ellis of Microsoft. Skype for Business speaker include Tom Arbuthnot, Stale Hansen, Ben Lee and Tom Morgan. Exchange specialists include Dave Stork, Jaap Wesselius, Thomas Verwer and Ingo Gegenwarth. Office 365 specialists include Michael Van Horenbeeck, Steve Goodman, Tony Redmond and Alan Richards. Finally Cloud and Azure speakers include Brian Reid, Justin Harris, Jon Maunder, Ed Baker, Jan Vidar Elven, Ryan Yates, Alex Cooper, Thomas Lee, Bhargav Shukla and finally myself, Graham Walsh. My session will be an introduction on how to achieve video interpretability with Pexip and Skype for Business and using Microsoft Azure. Pexip are the first vendor in the world to bring this market and it was introduced in May 2016 after being previewed in the Microsoft pavilion at UC Expo back in April 2016. So if you want to learn more about UC in general with Microsoft and Skype for Business, Office 365 and the transition to cloud with Microsoft Azure, then grab your tickets from the link below. Look forward to meeting you on the day there or at the pub quiz the night before. 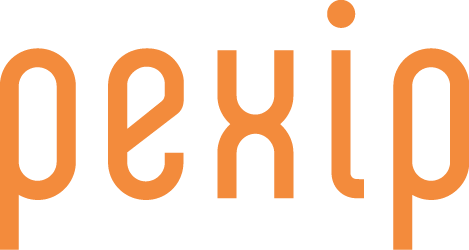 Pexip Infinity is collaboration software that organizations can deploy across their own IT infrastructures, in a partner cloud or both – so that every individual can have their own personal high-quality video, audio and mobile meeting experience.